Aren't lipsticks so much fun to play with? 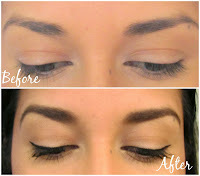 I love how one lip color can change your whole look in an instant! But what I love even more is experimenting with mixing lipstick colors to get more out of each tube of lipstick! 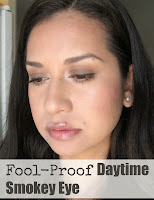 To check out my 1 LIPSTICK 4 WAYS POST ON VMG206 CLICK HERE! 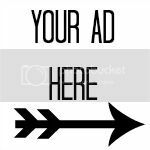 This is the last post I will be contributing to VMG206 but don't worry, I'll still do my beauty posts over here! 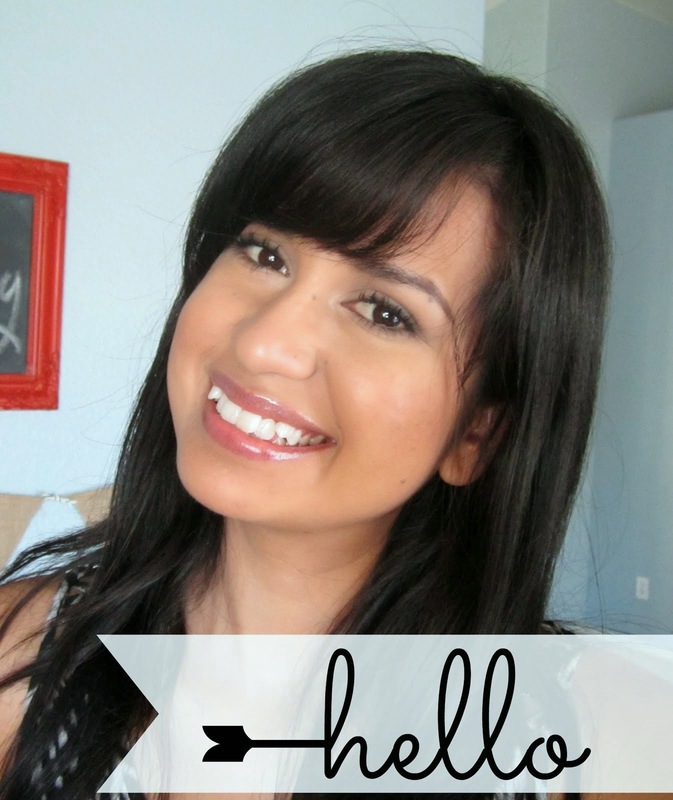 After 3 months since revealing my $72 Office Space, I'm happy to report that I'm still loving and using this space that is dedicated to all things blogging, paying bills, planning and more! It's very small but very functional. And functional is good! Since this office/work space is so teeny tiny (it's literally against one of the smallest walls in our home), I had to get creative as far as OFFICE STORAGE AND ORGANIZATION goes. 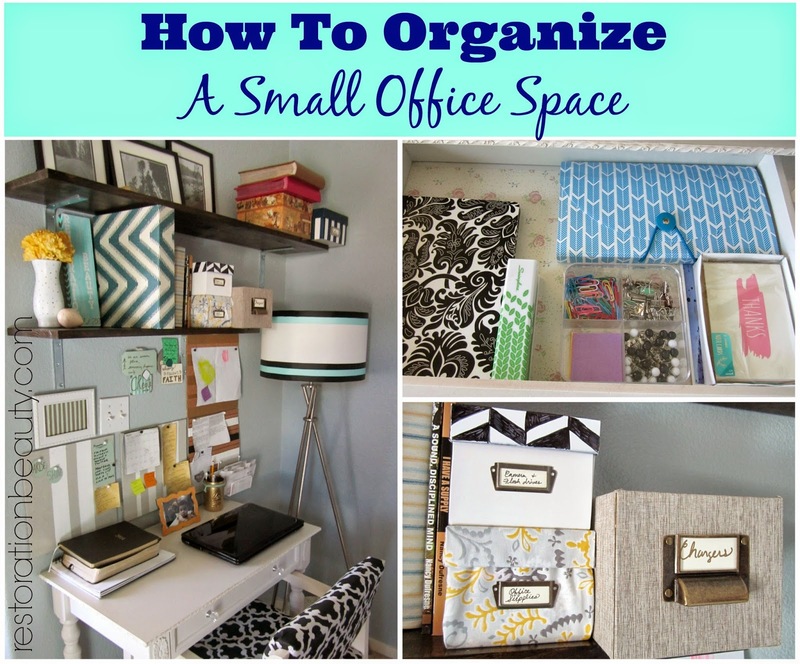 And today I get to share how I got this small office/work space to hold all my office necessities in the most organized way, along with some tips and tricks! Never did I imagine that a piece of scrap wood would bring so much excitement out of me. Anytime I see scrap wood laying around our garage, I immediately think of a free or almost free DIY. If you really think about it, they're not completely free since the wood was obviously purchased at some point, so it's more like getting more projects out of the same material, I guess. Either way, it makes me one happy gal! 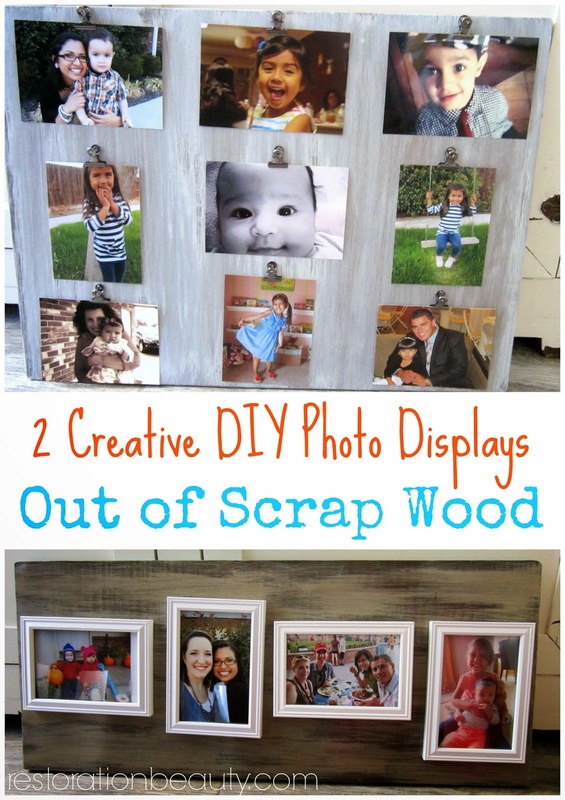 These 2 DIY PHOTO DISPLAYS I MADE OUT OF SCRAP WOOD are the perfect example of what can be created out of the wood scraps normal people just throw away (oh, you simpletons). My sweet friend Madalyn from Home Hearted was kind enough to send me two AMAZING LIP PRODUCTS from her Etsy shop the other day and I just have to share! 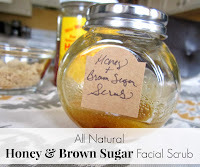 This isn't a sponsored post; I am in no way receiving compensation for this nor did she send me the products to be reviewed, just out of the kindness of her heart. 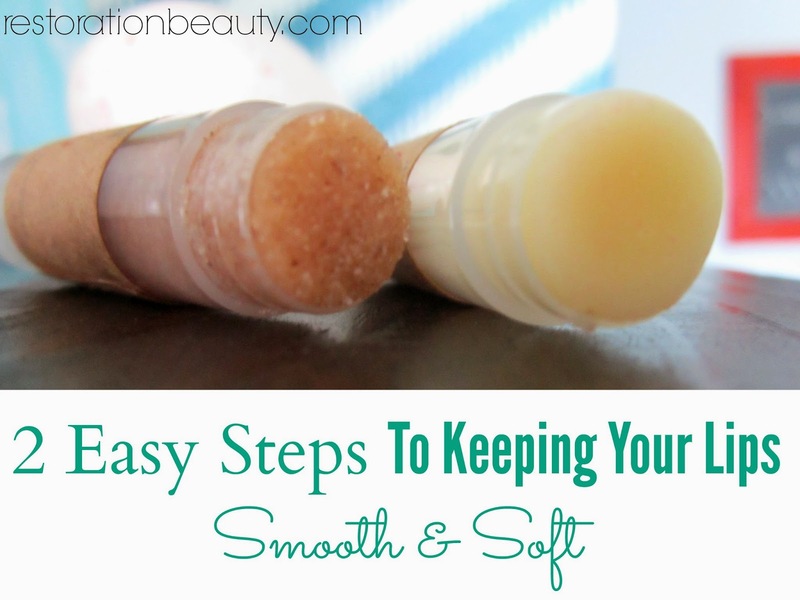 But because I love them so much I thought I'd whip up a post about HOW TO KEEP YOUR LIPS FROM GETTING CHAPPED and incorporate her products. If you're a Mom, I hope you had an amazing Mother's Day!! I sure did! I spent it with family and if you knew my family you'd know that's all you need to have one good time! 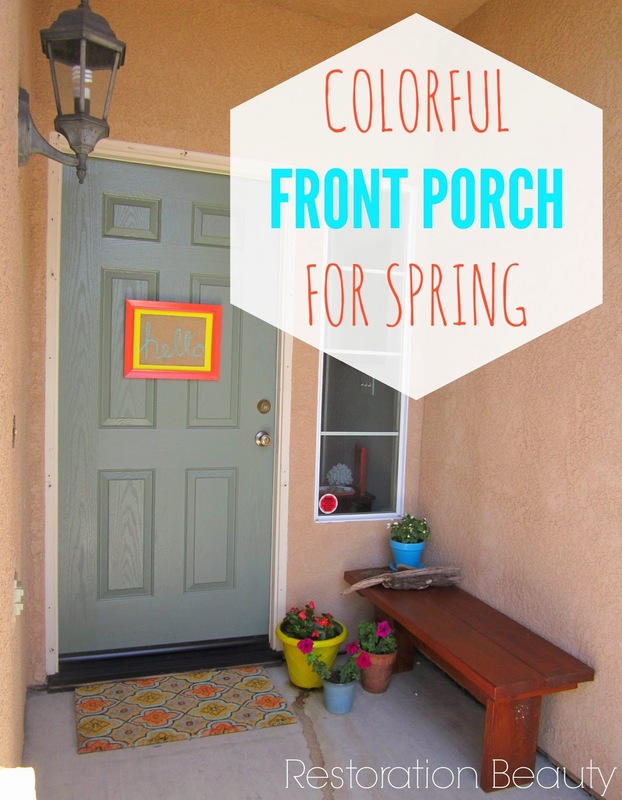 Today I thought it would be nice to get away from all the indoor DIY's that have been going on around here, and get some fresh air as I show you my COLORFUL FRONT PORCH I put together for Spring! You all know I love color. It just makes me happy. And happy is what I needed to see after a long and colorless winter! I just want to take a quick moment to say HAPPY MOTHER'S DAY to all you awesome Mommy's out there!! For every person there is a Mom who has impacted their life and molded the very core of who they are. You are important. You are valuable. You are irreplaceable. And a very special shout out to my very own Mom who is the #1 person who has influenced and impacted my life! Your boldness for Christ, dedication, determination, and no-quit attitude inspires me everyday to stay the course and not settle for less. Thank you...and I love you!! And here's the little lady (holding a roly poly) who made me a Mom the day she was born and continues to bring so much joy to my life!! Today I'm going to show you such an easy and inexpensive way to make a new table runner for your kitchen table! 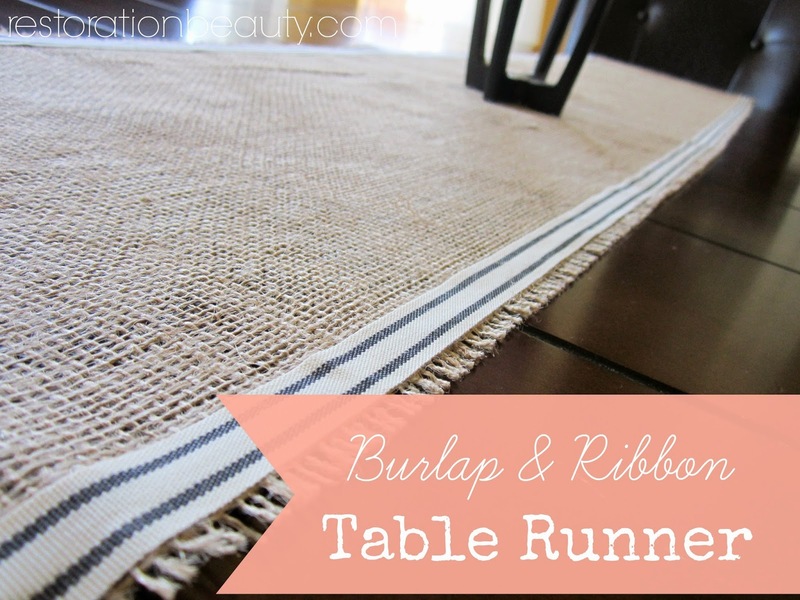 This DIY Burlap & Ribbon Table Runner goes perfectly with our Faux Wood Tile Flooring we just put in the kitchen a couple weeks ago and our Industrial Style Curtain Rod that we of course also DIY'd! 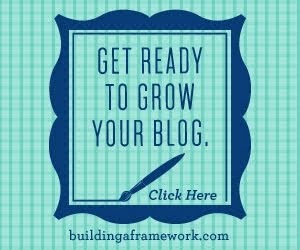 And I'm praying to God you guys aren't tired with my "kitchen" theme this blog has been on the last few posts! 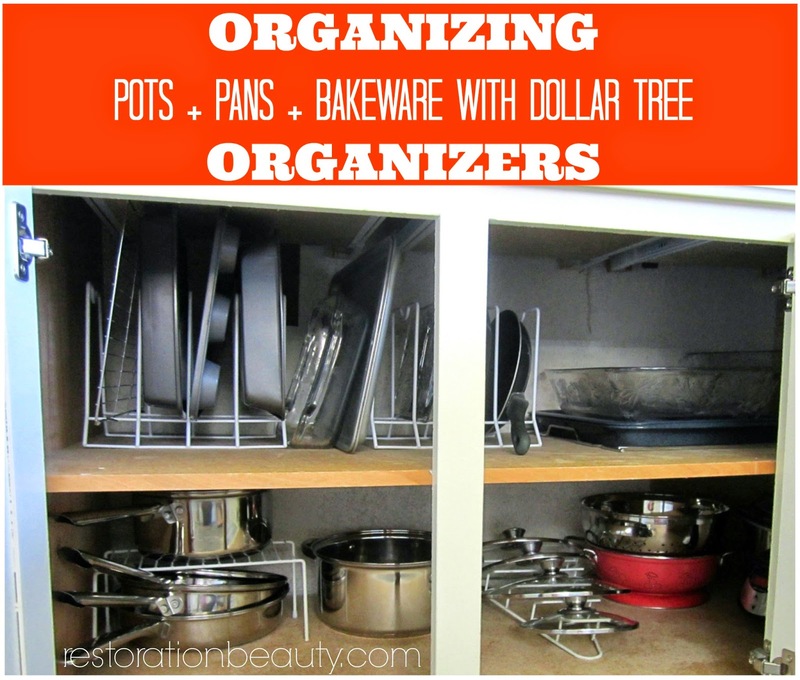 Raise your hand if you've ever been frustrated with the lack of organizing system for your pots, pans and bake ware? I think we've all had or have (no judging) a cabinet devoted to this chaos. Cooking and baking can be a chore when you know you have to get on your knees to rummage through your pots and pans cabinet just to find what you need. And by the time you find what you were looking for, you're like....forget it, let's just order Pizza! I for one was ready to get my POTS, PANS AND BAKE WARE ORGANIZED! And I did it by spending $4 at The Dollar Tree! Looks like the kitchen is in the spotlight again! 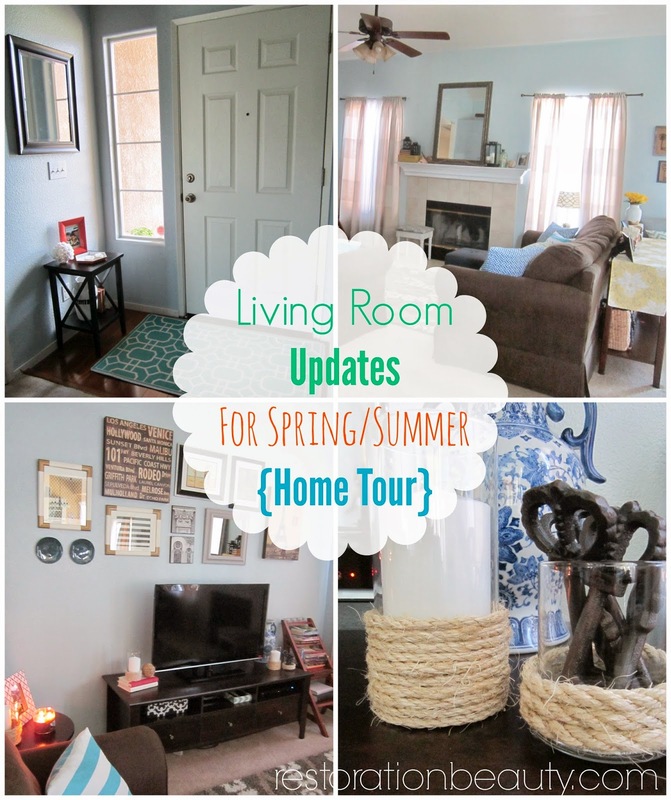 We gave it a nice upgrade by Replacing The Vinyl Flooring With Faux Wood Tiles and now I'm ready to talk window treatments! 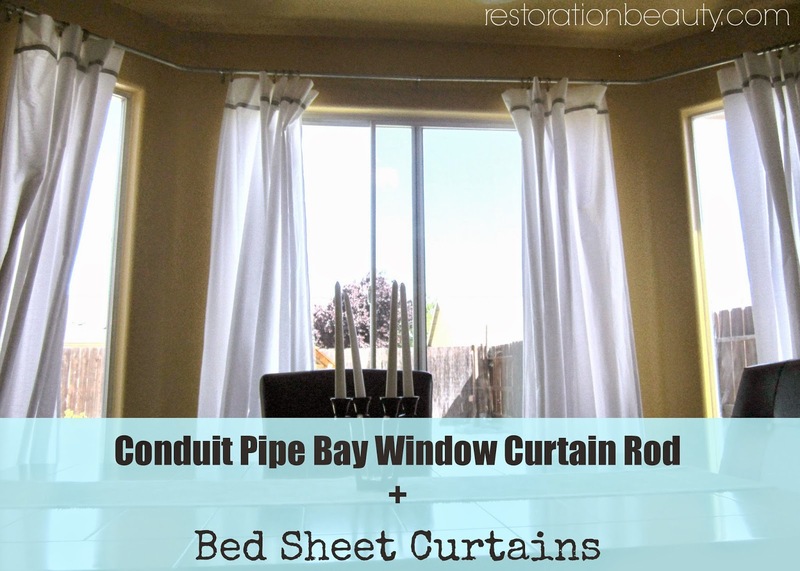 Don't you just love the way curtains pull a room together and make it feel complete?